Endur ID is pleased introduce the EIE-1-TH Infant Easy – an Ultra Soft Infant and NICU Identification product which is constructed from a very soft material. 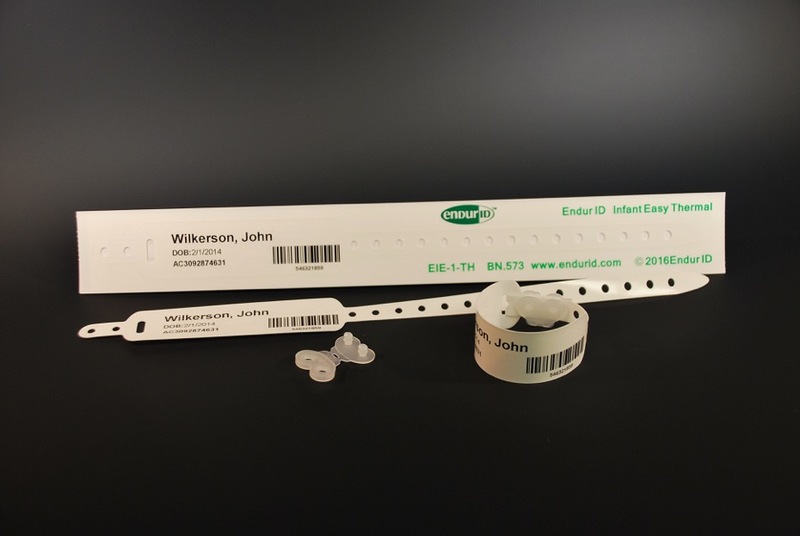 The new Endur ID EIE-1-TH bands eliminate skin irritation while being manufactured in a format which can be used 6 different ways, from Wrist and Ankle Bands to Long Tethers which can extend outside the swaddle. Special accommodations for Neonatal are incorporated so smaller sizes can be accommodated with consideration for the fragile skin. The EIE-1-TH is designed to meet a multitude of demands in a single format so the varying needs of any new born can be accommodated. The wristband is imaged using standard Direct Thermal Printers, so limited change to formats are required. The EIE-1-TH Infant Easy Band is Latex, DEHP and BPA free. Try It Yourself! Please contact us to get your free trial package with enough media to put it through its paces.